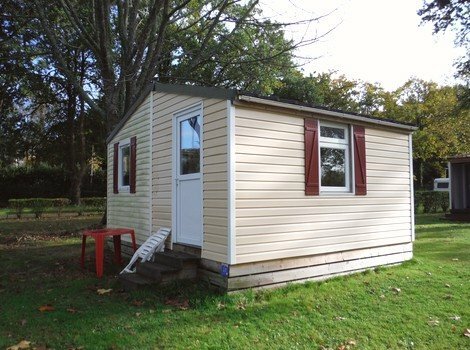 Welcome to our Brittany campsite for a holiday in the countryside with leisure activities. Christine and Sébastien are very happy to welcome you in their family campsite on a wooded site and in a natural setting of greenery of 3 ha for 97 pitches. Our campsite ‘4 seasons‘ is open all year round with many services and activities to discover. A team ready to welcome you, serve you on a daily basis, make your travels easier, but also to offer you a choice of entertainment available on site or nearby. Minigolf renovated and transferred to the campsite. Setting up of La Mini ferme with animals. 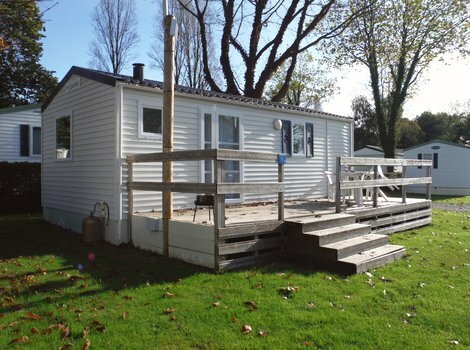 Renovation of all mobile homes with insulation for year-round use. Renovation, extension, improvement of the snack bar grill restaurant and its large outdoor terrace. Creation of the fry house. Renovation and improvement of sanitary facilities. 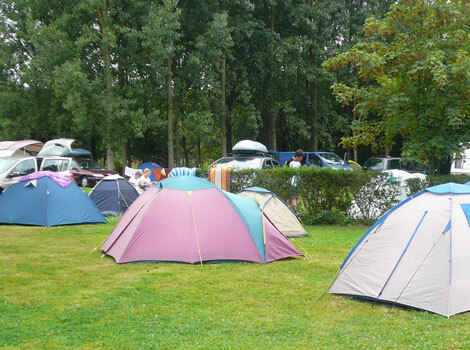 The sanitary, hygiene and safety standards of all components of the campsite are met. 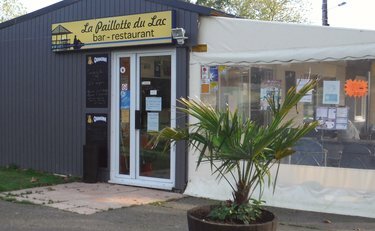 For a snack, go to the bar-restaurant’ La Paillotte du Lac’ to discover a rich menu. And for your shopping or a little extra, you will find some basic necessities at the grocery store of the campsite. – a fast-food restaurant at the fry house. – a table service at his restaurant “la Paillotte du lac”. – a menu or picnic at a low price. Visit the bar-restaurant ‘La Paillotte du Lac’ to discover a rich menu. And for your groceries or a little extra, you’ll find some basic necessities at the campsite grocery store. You’ll also be able to visit our beautiful region. 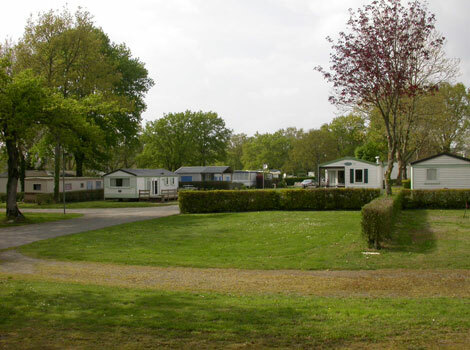 Our campsite is open all year round and is just 30 kms away from Rennes and 70 km from Nantes. See you soon at Bain de Bretagne! The pitches and the pool are accessible to people with reduced mobility. 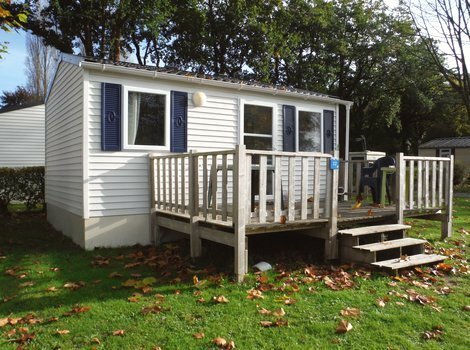 Here at the Camping du Lac campsite at Bain de Bretagne in Ille et Vilaine, you’ll find an indoor heated swimming pool and a sauna. 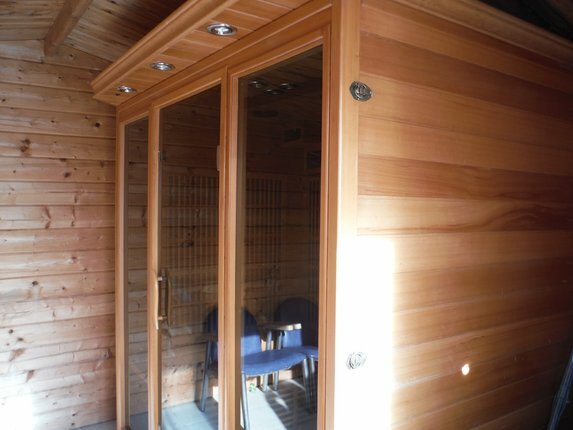 These facilities are for you to enjoy for your well-being. There’s nothing like a lovely swim in the warm water of the pool and a sauna for unwinding in a hot, dry atmosphere. So don’t forget your swimming costume and towel! 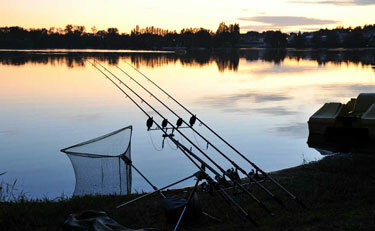 Keen anglers will not be disappointed by the 35-hectare lake at the foot of the campsite in a wonderfully relaxing, shady setting. Remember to bring your tackle! 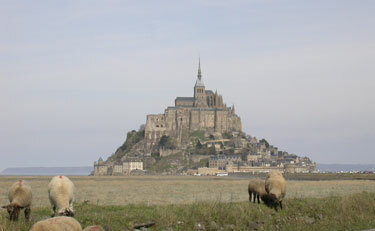 Our location at Bain de Bretagne puts us at the crossroads of the main places worth visiting, including Saint Malo, the Mont Saint Michel, Cancale, Brocéliande, La Baule, Pornic and Carnac. Every day from 9am to 12am and from 3pm to 7pm.